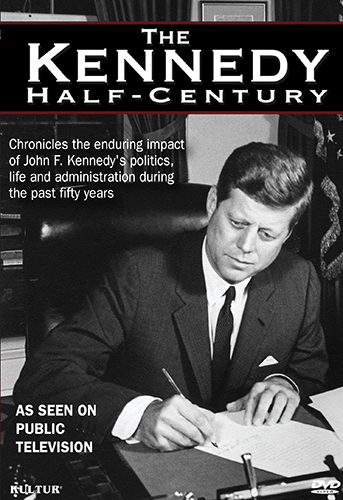 The Kennedy Half-Century chronicles the enduring impact of John F. Kennedy's life on every subsequent US president since his tragic death in 1963. 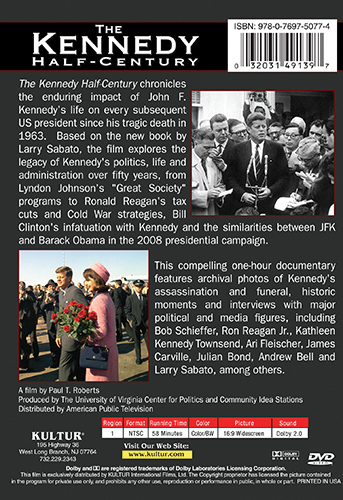 Based on the new book by Larry Sabato, the film explores the legacy of Kennedy's politics, life and administration over fifty years, from Lyndon Johnson's "Great Society" programs to Ronald Reagan's tax cuts and Cold War strategies, Bill Clinton's infatuation with Kennedy and the similarities between JFK and Barack Obama in the 2008 presidential campaign. The compelling one-hour documentary features archival photos of Kennedy's assassination and funeral, historic moments and interviews with major political and media figures, including Bob Schieffer, Ron Reagan Jr., Kathleen Kennedy Townsend, Ari Fleischer, James Carville, Julian Bond, Andrew Bell and Larry Sabato, among others.